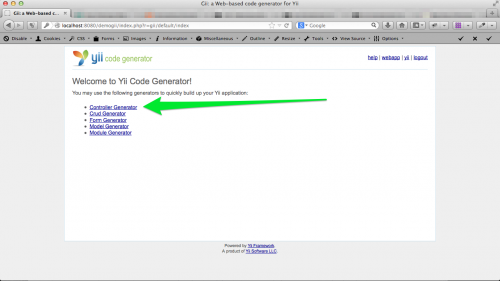 By this time you may learn to install Yii framework in your workstation, If not You can follow this. 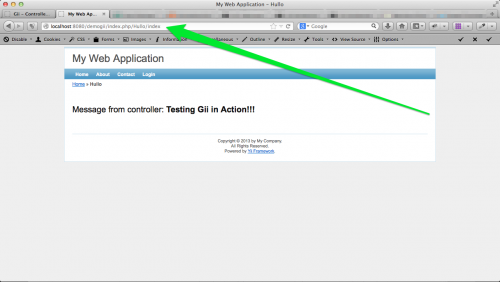 Today, I will show, how to use GiiModule. 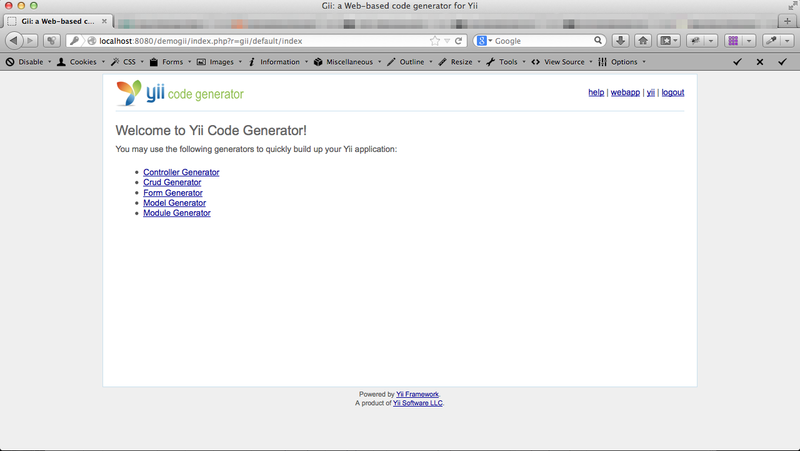 Gii is a Yii module, which provides web based code generation facilities. 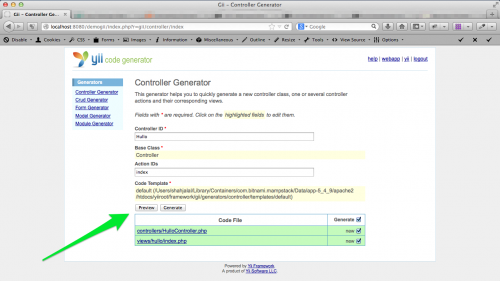 Through Gii, we can create all the required files for our MVC model. 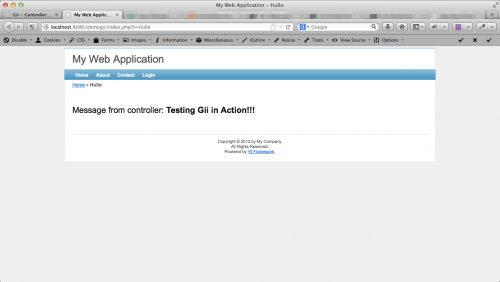 To work with GiiModule we have to configure it in our application. 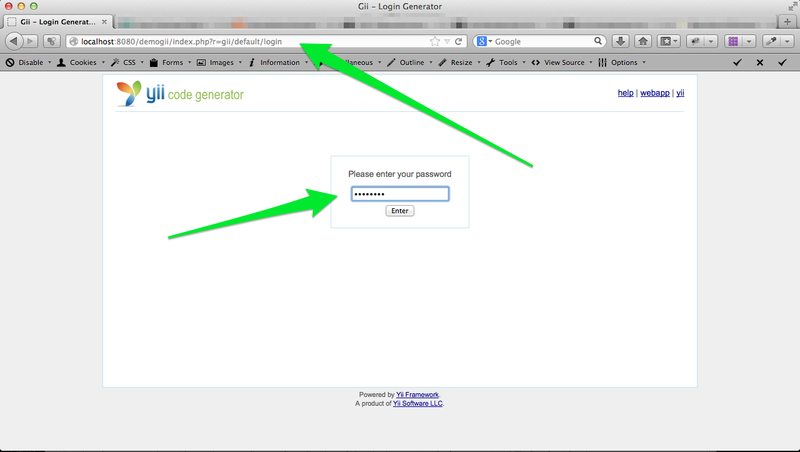 By default it can be accessible by localhost and we can access the module through our browser. I will show you in detail. Let’s start now. 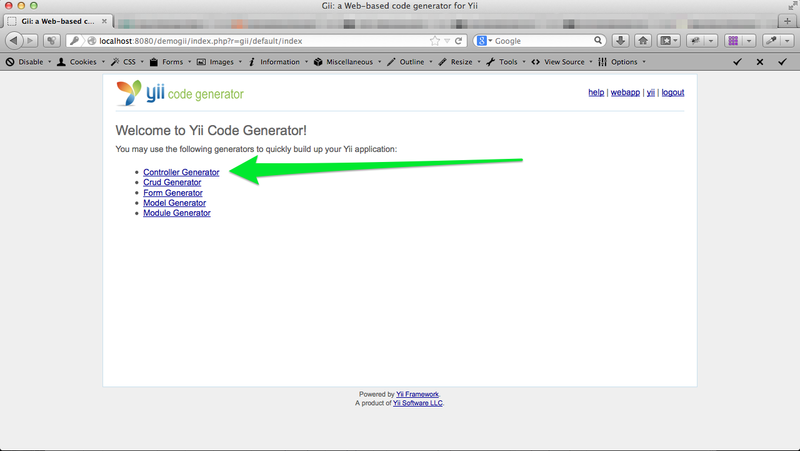 We will run yiic application to create our project. 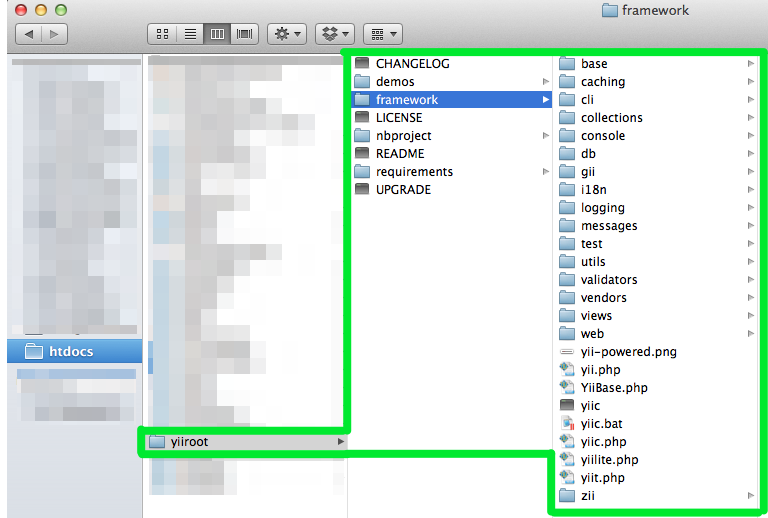 You will find it inside yiiroot>framework folder. 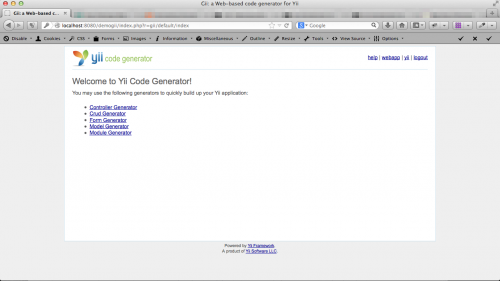 To run yiic, open your command prompt and go to the htdocs folder. Run the following command. 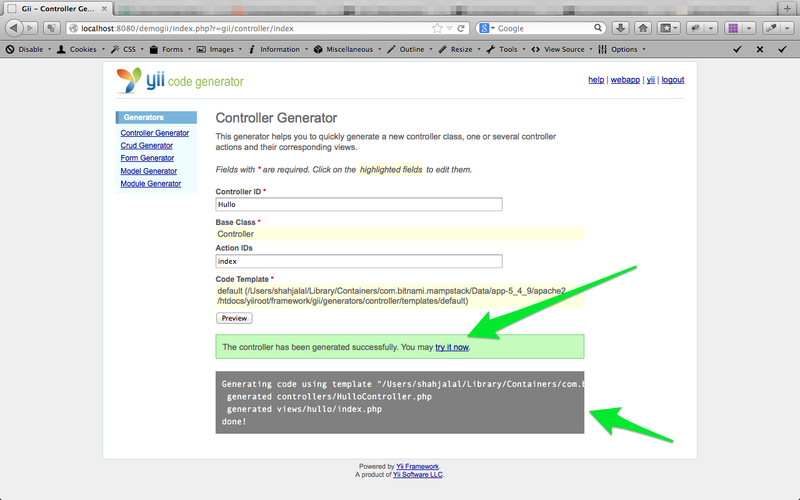 It will ask your permission to generate required code. 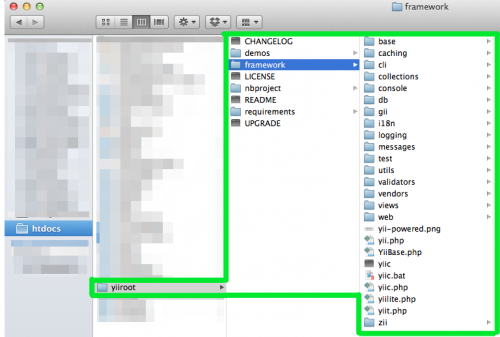 This command will create a demogii folder inside your htdocs. 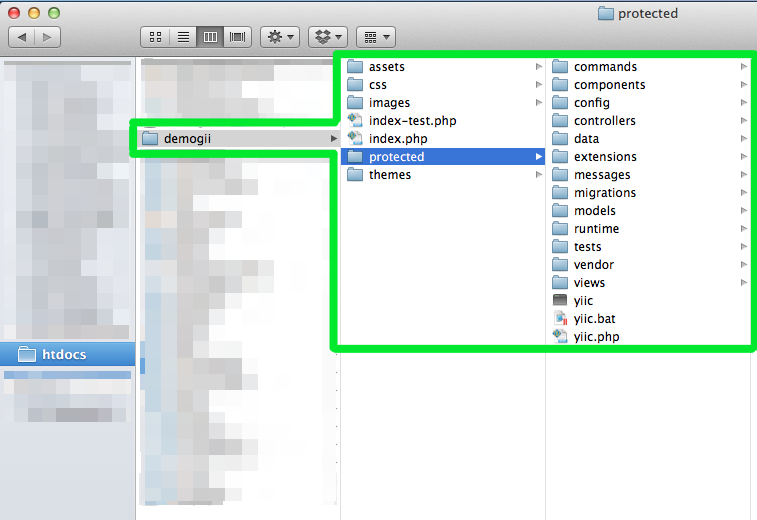 The protected folder, inside demogii contains module, view and controller folders. 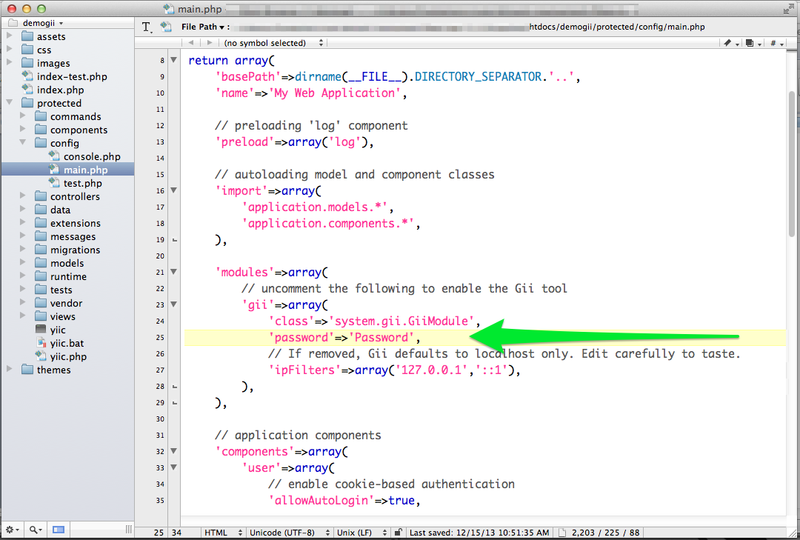 The protected folder also contains the config folder, which has configuration file for GiiModule. 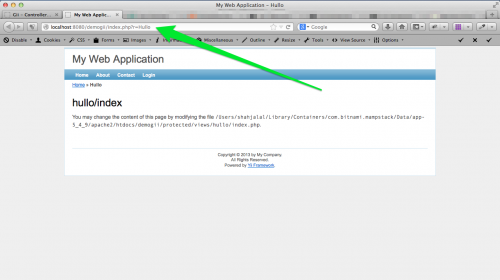 Now, open your browser and write on your address bar http://localhost:8080/demogii/. 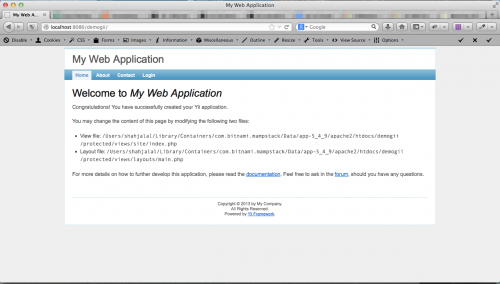 If everything is ok, you will see demogii application welcome page. 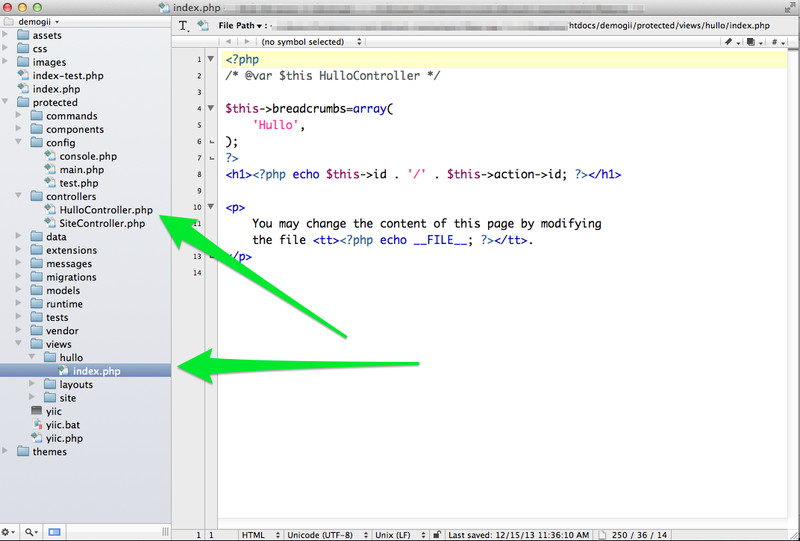 Now open main.php file with your text editor, from htdocs>demogii>protected>config folder. 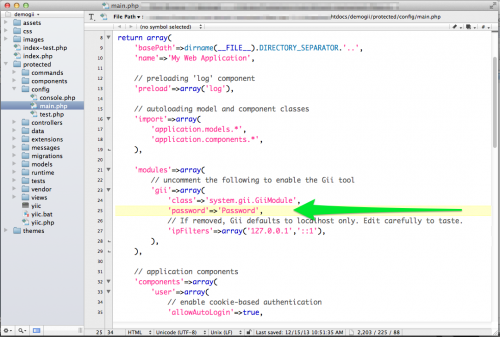 Uncomment the following code segment to enable GiiModule. 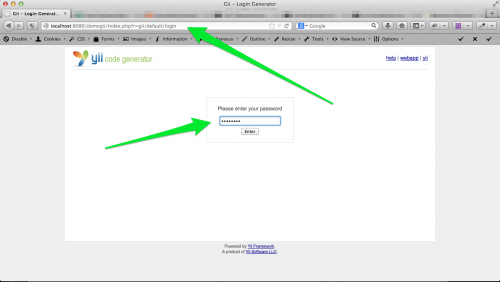 It will prompt a password field to login. 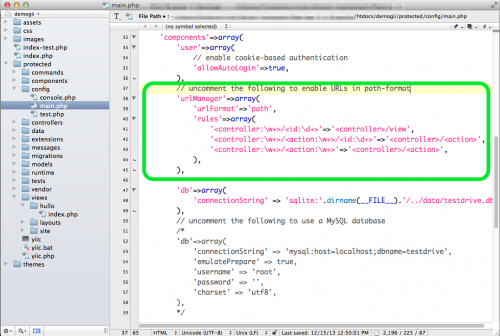 Give the password what you gave in main.php. In my case password is Password. 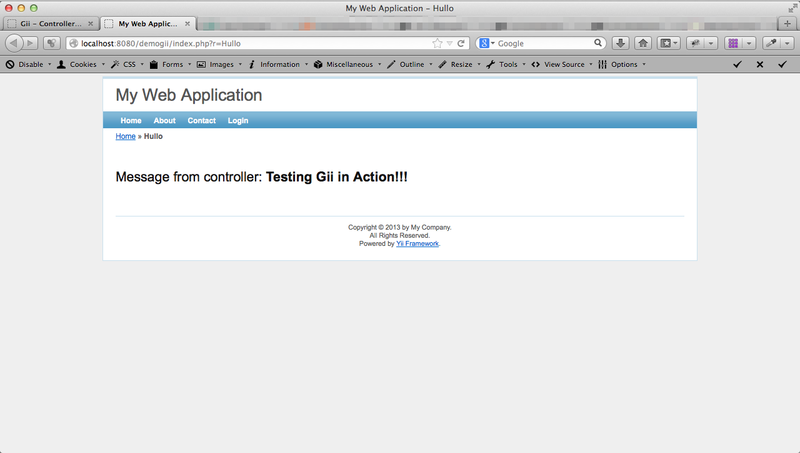 Congratulation, you are ready use GiiModule. Click on the Controller Generator. 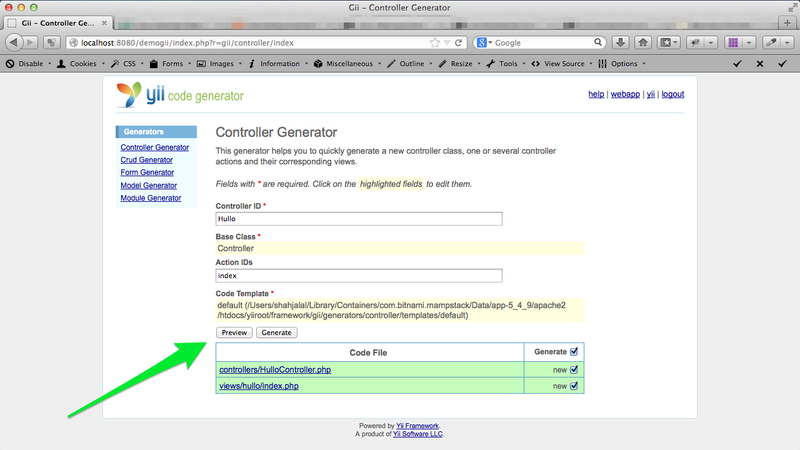 This will open the Controller Generator page. Controller ID: HulloNow click, Preview. It will preview two files. One is for controller and one is for our view. 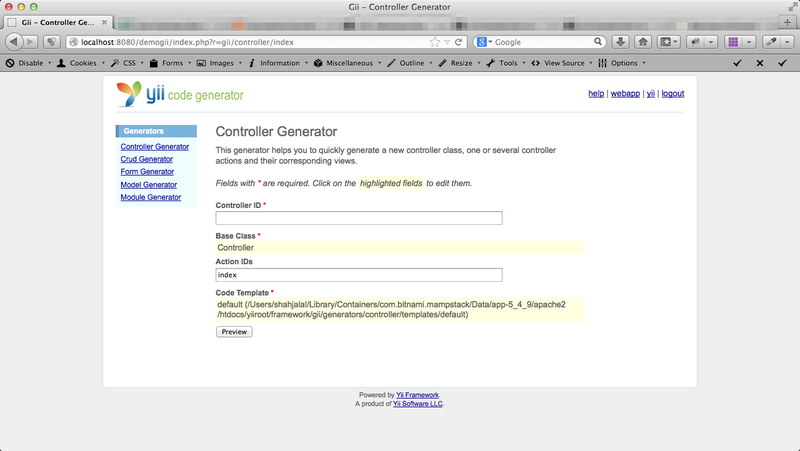 It will physically create HulloController.php for our controller and index.php for our view. Now you can click on the try it now link to view your controller. 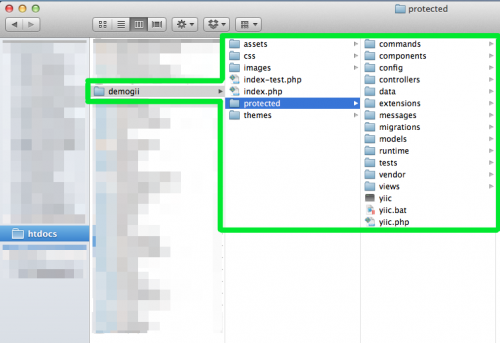 If you open htdocs>demogii>protected>views>hullo and htdocs>demogii>protected>controllers folder, you will see index.php for view and HulloController.php for controller, have created. Open htdocs>demogii>protected>controllers>HulloContorller.php with your editor and write the following code. Here, I have initialize one message with $message variable name and trying to send it to our view. 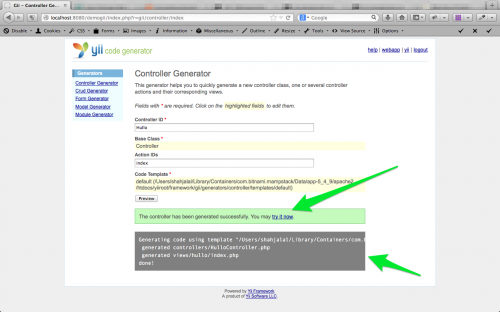 Before sending it to view, I put it to an associative array with a key name called content. Now open htdocs>demogii>protected>views>hullo>index.php with your editor. 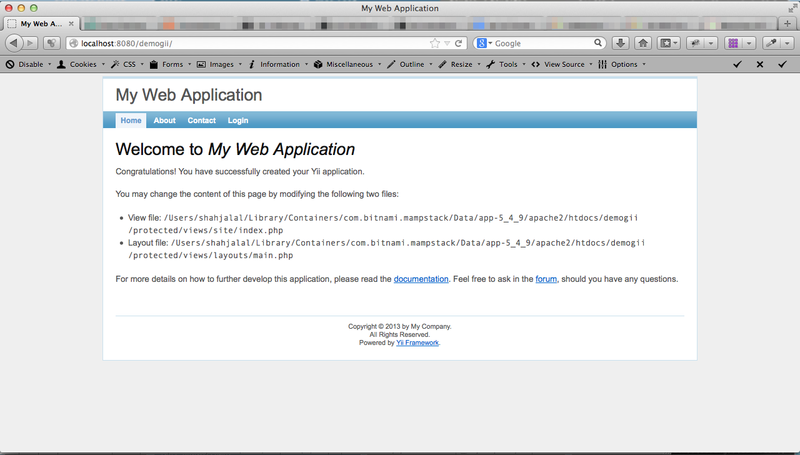 And write the following code. You will get the same output as before. Confused? I think, you are quite clear now. But it is not search engine friendly. We can make it a friendly one. Piece a cake. I think, you are happier then before. 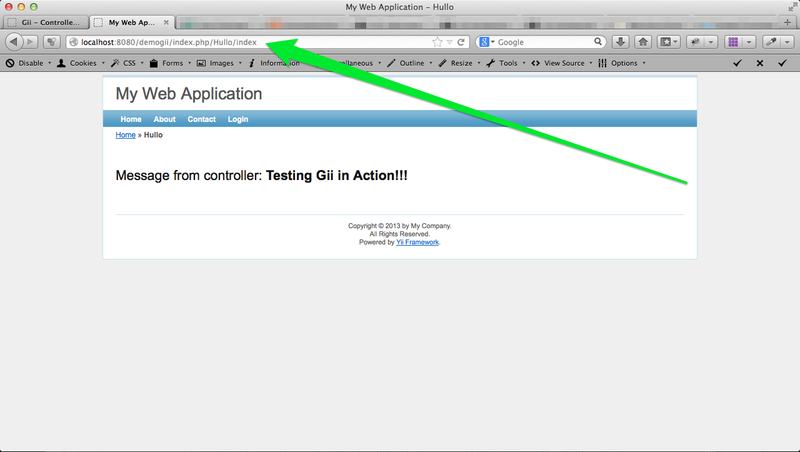 In this URL you no need to worry about route, we only need controller id and action id. We have just scratched on the surface of the GiiModule. It has lot more feature to discuss, which can help us by generating default code and make our application development process faster.